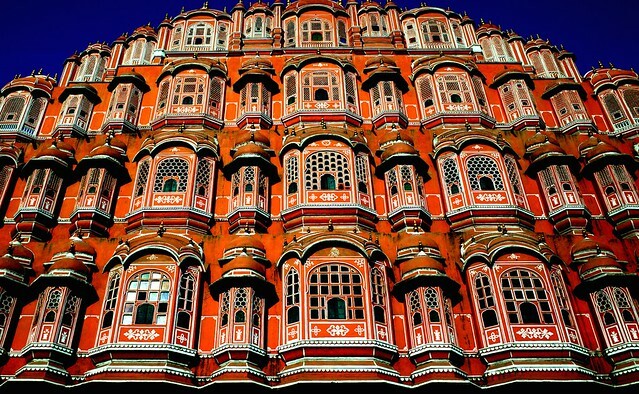 The unified state of Rajasthan is strewn with architectural remnants of the royal past, but the capital, Jaipur, is perhaps where you’ll find some of the most impressive examples, such as the City Palace, Hawa Mahal and Amber Fort. Dubbed the ‘Pink City’ for its terracotta-pink coloured buildings, you should also engage in shopping at the bustling bazaars located in the old walled quarter of the city. The Bapu bazaar and Tripolia bazaar are particularly noteworthy. If you need a pit-stop, there are many restaurants and food stalls serving delicious Rajasthani cuisine. If you have a spare day or two, head to Neemrana or Ajmer, both are just two-and-a-half hour drive from Jaipur. Neemrana is known for its 15th century fort perched atop a hill and offers a bird’s eye view of the town. Ajmer is a pilgrimage city that houses one of the most supreme shrines dedicated to the Sufi mystic Moinuddin Chisti, the Ajmer Sharif Dargah. Udaipur is considered as the most romantic place in India. 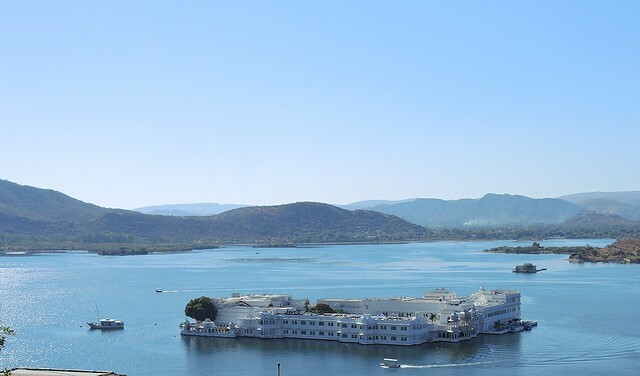 At the centre of the city, along the eastern shore of Lake Pichola lies the magnificent City Palace complex, which appears to be magically floating on top of the water. The complex comprises of several palaces (some turned into heritage hotels), hanging gardens, courtyards, pavilions and a museum. You can take a boat ride on the lake and soak up the sights of the majestic complex. The royal family still lives in the palace and even you can stay in the palace complex. 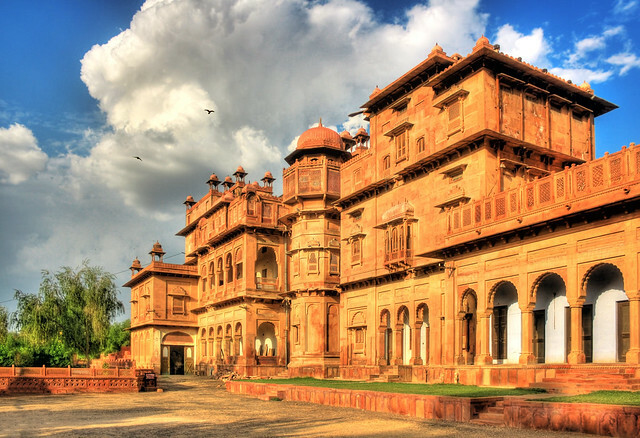 Those looking to embark on a royal escape sans the crowd should set their sights on Bikaner. Sitting on the eastern side of the border with Pakistan, it is a colourful city with several havelis (mansions) of uber-rich marwari merchants. The must-see include the Rampuria Haveli that stands out with its brick-walled facade and is a group of seven havelis. All the havelis are not open to public, but one haveli converted into a hotel, known as Bhanwar Niwas welcomes visitors to experience the grandeur of the bygone era. Other noteworthy sights include the 16th century Junagarh Fort, Lalgarh Palace and the Karni Mata temple that is filled with rats, called Kabbas. These rats are believed to be the sons of Karni Mata (incarnation of Goddess Durga), and are revered in the temple. 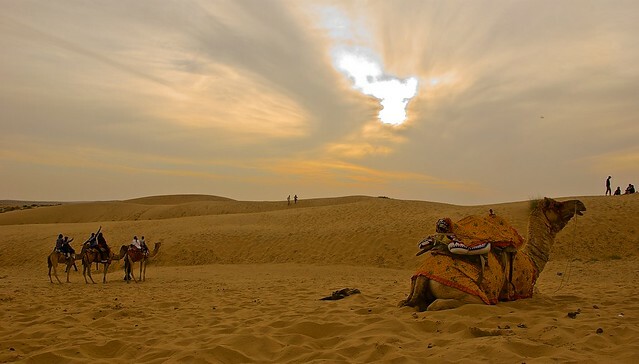 A trip to Bikaner is incomplete without a camel safari along the Thar desert, which lies in close proximity to the city. Nestled in the lap of the Thar desert, Jaisalmer is famous for its architecture and the buildings here are made of yellow sandstone, which at sunset glow with a golden taint, giving the city its nickname ‘The Golden City of India’. 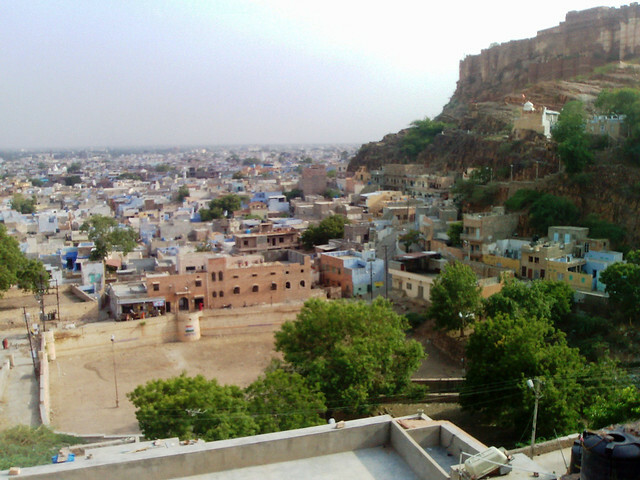 A perfect vantage point is the majestic Jaisalmer Fort (Golden Fort), located at the centre of the city. Constructed in 1156 AD, it is perched on the Trikuta hill overlooking the city and houses several palaces, havelis (mansions), intricately carved Jain temples, eateries and shops, as well as residences inhabited by about 4,000 people. A few of the mansions have been converted into heritage hotels, so you can stay there as well. Finish off your trip with a camel safari in the Thar desert, or the Sam Sand Dunes that are located about 25 miles west of Jaisalmer. The ‘Blue City’ of India for its blue-painted houses near the old town area, Jodhpur is considered to be among the most beautiful cities in Rajasthan. 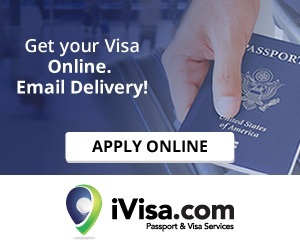 It practically demands to be visited for its 15th century Mehrangarh Fort, which is perhaps one of the largest and well-preserved forts in India. Nestled on a rugged cliff, at a height of 410 feet (124.9 metres) above the ground, the fort comprises of a museum filled with royal memorabilia, and several palaces with beautifully carved courtyards and extravagantly painted rooms. The major highlight of the fort, however, is the view of the blue city from the ramparts, which is a delight for the eyes and a great photo opportunity. The more active can try out zip-lining over the fort and enjoy the panoramic views of the blue city. Pushkar is one of the most famous holy towns in India, which of course means it’s also the most visited. It is home to more than 400 temples, including the only temple dedicated to Lord Brahma in the country. 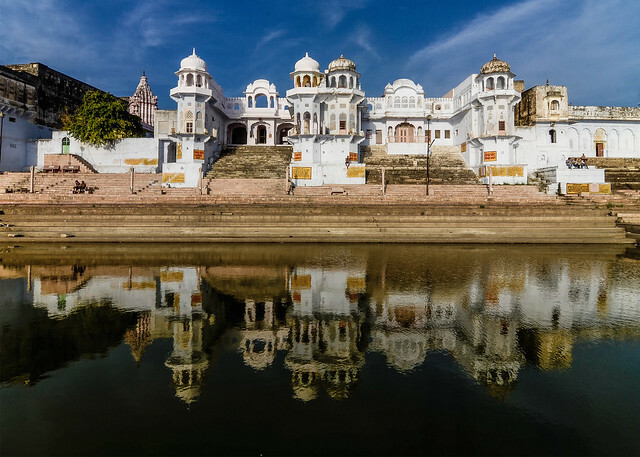 At the centre of the city lies the sacred Pushkar lake, which is surrounded by about 52 ghats (flights of stone steps leading to the lake), where Hindus bathe to wash away their sins and cleanse their soul. One of the most popular and important ghats is the Brahma Ghat, where several religious ceremonies are held. Every evening, groups of priests line up the ghats and perform aarti (a prayerful ceremony of light). For a more festive experience, try to time your visit in late October or early November, when a five-day camel fair hits the town. It is the largest fair of its kind in the country. Just remember alcohol and meat are strictly banned here since it’s a pilgrim destination. Mount Abu is the one of the best places to visit in Rajasthan. 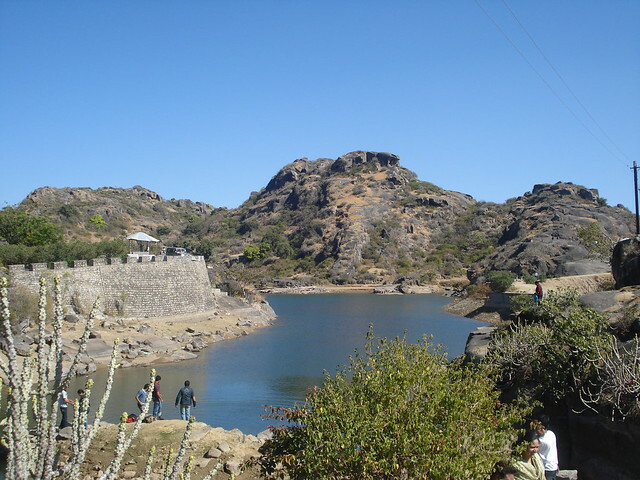 Situated at a height of 4000 feet (1220 metres), Mount Abu is Rajasthan’s only hill station. The picturesque landscape encompassing the Aravalli hills, verdant forests and serene lakes makes it a perfect place for adventure enthusiasts who can engage in outdoor pursuits, such as boating, trekking, rock climbing, mountain biking, zip lining and rappelling.